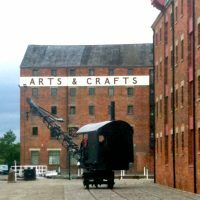 Gloucester docks are at the heart of the wonderful city of Gloucester and are deeply embedded in the history of the city. 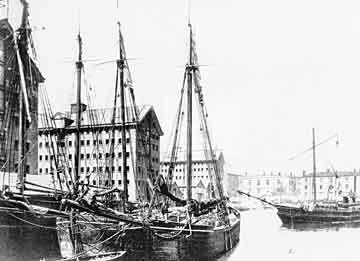 The main dock at Gloucester was constructed as the terminus of a ship canal with an entrance from the Severn estuary at Sharpness. 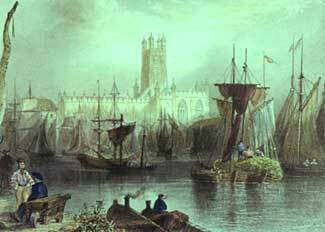 The canal was formally opened on the 26th April 1827, and a huge crowd gathered to watch the first two vessels enter the basin amid the firing of guns and the ringing of church bells. Once the canal was operational, local merchants were soon taking advantage of the new facilities. Cargoes could be transferred direct to narrow canal boats which could carry the goods up the river and through the inland canals to supply the growing industrial towns of the Midlands. Early imports included corn from Ireland and the Continent, timber from the Baltic and North America, and wines and spirits from Portugal and France. The main export was salt which was brought down river from Worcestershire. Some of the ships bringing timber from North America often carried emigrants on the outward journey. 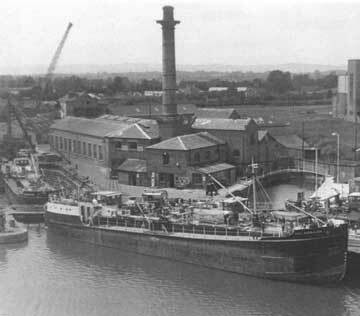 To cope with all this activity, warehouses were built around the main basin and an earlier dry dock was enlarged. An engine house was built to augment the canal’s water supply by pumping from the River Severn. Foreign imports increased dramatically during the 1850s and 60s. Corn came from northern Europe and the Black Sea ports situated around the mouth of the Danube, further warehouses were constructed and three flour mills were established. 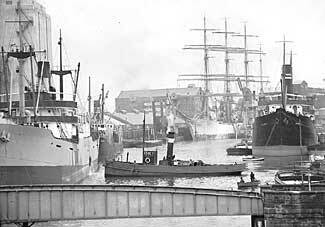 By the early years of the twentieth century, the docks were being used by steamers as well as by sailing vessels, and there were regular services to continental ports. Over the years, as the commercial traffic died away, it was partly replaced by an increase in pleasure craft, and the docks became a popular place for moorings. The survival of the old warehouses made the main dock an ideal location for filming historical drama and many scenes for the popular television series The Onedin Line were filmed here. In recent years, new uses have been found for the warehouses, and the docks have been redeveloped into shops, wine bars and museums. The docks remind us of the days of the great seafarers and adventurers who set out to chart the unknown. 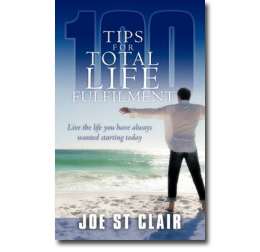 We, like they, must remain focused on the ‘bigger picture’ in order to plot our course through life.